Ark Pilgrim House is located in the heart of Marian Sanctuary in Lichen Stary where, in the biggest basilica in Poland (Mary the Holy Virgin and the Lady of Lichen), one can admire the miraculous image of Virgin Mary. The location of Ark is picturesque. The House is surrounded by gardens and small forests, creating an extraordinary atmosphere for rest and meditation. Ark Pilgrim House has 188 rooms with 747 beds. All rooms contain bathrooms with showers. Most double rooms have access to free Wi-Fi. It is worthy of note that one can book a room with the balcony. The exceptional yet simple atmosphere of Ark creates the perfect atmosphere for prayer and reflection. The Descent of the Holy Spirit Chapel is located on the fourth floor of the House where one can enjoy a wonderful view of the gardens and the basilica. 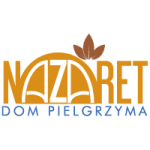 Furthermore, Ark offers a comprehensive catering area – the bar and the café where organised groups and Pilgrims can cherish the delicacies of the Polish cuisine as well as enjoy delightful coffee, ice-cream and pie. The bar can house 250 Guests, whereas the café up to 70. The lounge which contains the fireplace designed for 20 Visitors and the banquet room for 40 Participants provide an opportunity to organise various alcohol-free events. Ark has a conference room suitable for meetings, workshops and seminars. Event managers can benefit from the multimedia projector, with the state-of-the-art sound system, providing the comfort of work for Participants. Glazed cabin allows for the organization of simultaneous translation, necessary for the organization of international conferences. The room can house from 100 to 300 people, depending on chair arrangement. Upon the request of our Guests, the conference office equipped with a computer, printer, copier and fax machine can be organised. Suffice it to say, the conference room has access to the Internet. – family events: weddings, anniversaries, baptisms, confirmations.